How Do I Get To Brighton Heights? 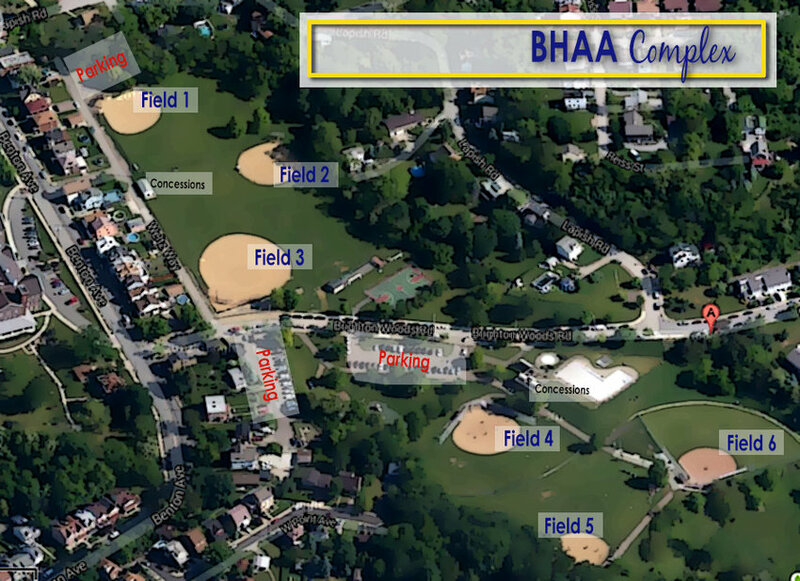 BHAA welcomes our playing partners from Southwest Pittsburgh Baseball League, Greater Pittsburgh Girls Softball League, City BIG League, and Allegheny North Baseball. We have two full concession stands, two sets of bathrooms and a playground. Parking lots are located adjacent to Fields 1 and 4, and parking also is available along Brighton Woods Road. Our home fields are located at what is commonly referred to as the John Merry or Jack Stack field complex. The fields are located at the intersection of Benton Avenue and Brighton Woods Road in Brighton Heights (15212), across from Little Sisters of the Poor and adjacent to Jack Stack Pool. A sign for New Allegheny marks the entrance to the park. Use the link to the right to get directions.